The City of Brotherly Love. And the city of yoga love! At DOYOUYOGA, we love for you to get the most out of your yoga practice. So if you're in the city famous for the Liberty Bell, Independence Hall, and the cheesesteak, or planning on traveling there, here are four cool yoga studios to check out in Philadelphia. 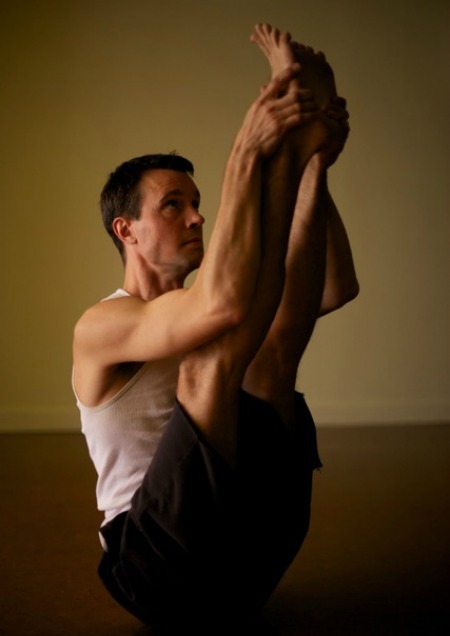 Dhyana Yoga, located on Walnut Street, is owned by Diana and John Vitarelli. Since they both graduated from Tim Miller's Ashtanga Teacher Training, Dhyana is a Vinayasa Flow centered community with a strong Ashtanga background. Here you're sure to get an awesome, fulfilling yoga practice steeped in the wonderful, traditional lineage. When asked about how the students' experiences are influenced by the space and teachers, they say that, "We like to work hard, but laugh hard as well. We all inspire each other with our efforts each practice, and respect the tradition that our classes are drawn from, while allowing lots of space for creativity for the modern practitioners that have fallen in love with the flow!" And isn't laughter yoga the best kind? The Philly Yoga Factory on Sansom Street has a pretty awesome program going on. The Philly Yoga Factory is a "pay-what-you-will" program, where you pay what you can afford for class, and come as often as you like! To make it even better, they teach all kinds of styles, from Yin to warm Restorative, to hot Vinyasa, Bikram, and Anusara. You're sure to find a style (and a price) that works for you. Justine, the founder, says, "We are all about making connections with our students and our Philadelphia community. We believe that yoga can be offered to anyone regardless of their financial circumstances. For someone to be welcomed into a class by their teacher no matter what they can pay is powerful and encouraging students to keep practicing!" We have to agree, Justine! The Yoga Garden on South Street offers tons of different styles of classes, including Vinyasa, Power yoga, and Yin yoga. The Yoga Garden aims to improve your body awareness and alignment so that you can get the most out of your yoga practice. Mark Nelson, the owner of The Yoga Garden says what makes his studio special is that, "When you enter the studio, you step into a whole experience. The natural décor, the music, the scent of essential oils, even the plants and the sound of flowing water. It's all there so you can leave the outside world behind and just do yoga. Then there are the people. We've created a friendly, personal, non-competitive environment where people of different abilities can grow at their own pace. Our teachers take the time to get to know new students, so each time they come back, the teachers can work with them on a personal level. What really makes the Yoga Garden special is all the little things we do every day. The little stuff matters." 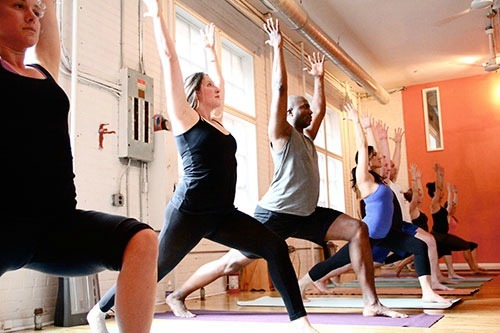 Philly Power Yoga & Thrive Pilates on Walnut Street offers a pretty unique kind of Power yoga. Their Power yoga is a combination of Bikram, Ashtanga, and Vinyasa yoga, performed in a heated room. It's a cool new twist on Power yoga, which is perfect if you're looking to challenge yourself and expand your practice. Here's what makes Philly Power Yoga & Thrive Pilates inspirational to their students: "The inspiration is a direct result of the relationship we build with everyone in our community. Collaboration, Respect, Trust. We’re big on authenticity. Our teachers are really the heart of our studio, and their rapport with the clients really reflects that. Every teacher is unique, comes from a different background, and brings something different to their practices. Above all else, they’re really just a wonderful, genuine, good-hearted group who love what they do and love helping people better themselves, be it physically or mentally." Have you been to any of these studios in Philadelphia? Where's your favorite place to practice yoga there? Share with us below!